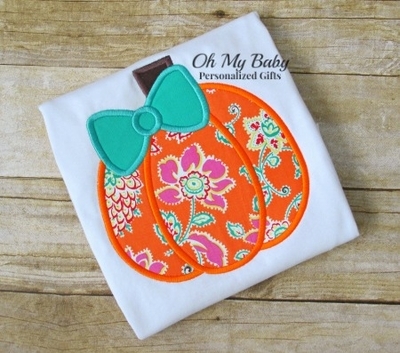 Beautiful floral embroidered pumpkin. Personalized pumpkin shirt perfect to wear during the Fall season. Floral print on fabric will vary.